So it begs the question, 'what is the difference between these different arrangements and which one will suit the needs of my child'? First, let's start by simplifying the choices. Centre-based - your child attends a facility made which usually has been purpose-built to cater for the education and care of young children. Family day care - operate out of the educators home who is providing the care. Nanny care - is a more flexible arrangement, where a nanny usually attends your place of residence to care for your child. While these frameworks specify the method of education, they do not define the content (usually referred to as 'the program') that a service teaches a child. This makes early education very different to our curriculum/syllabus-based experience of primary and secondary. If it sounds progressive, then you are right - it is! 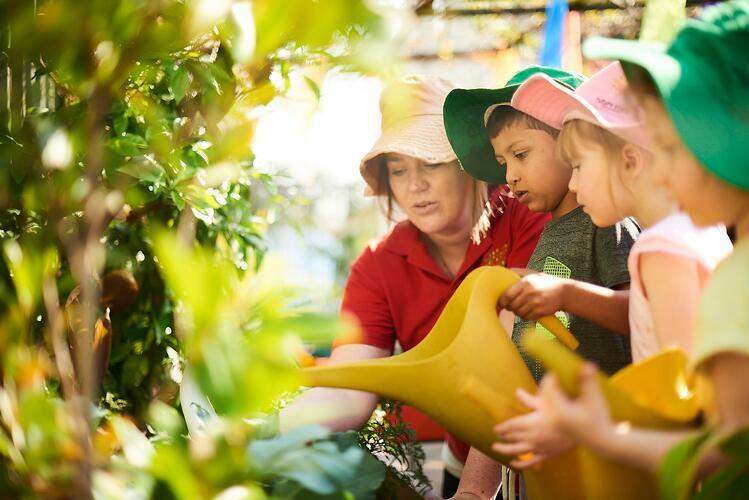 The EYLF (which most Centres in Australia follow) asks educators to develop the interests of the child through play and reflects the current state-of-the-art in early years development and psychology. Through this method, high-quality services will engage in a cycle of planning, where educators identify the interests of individual children and then develop programs to facilitate further education and growth. These cycles usually occur every week. How is the quality of a Centre governed? Centre-based services are subject to regulations that are thought to ensure a high quality of education and care. Every educator needs to have a tertiary degree (either a certification or university-issued degree) in Early Education and Care. However, staffing arrangements are only one part of the quality governance framework. As I mentioned above, the seven quality areas touch on the different capabilities that make a high-quality centre. We encourage that parents and guardians investigate the rating of the service that they attend. The rating process is rigorous and provides you with an objective measure to gauge the quality of the service. We strongly encourage that you use the quality rating as a critical measure in your decision-making process. How do Centre-based offerings differ? Despite the naming differences, child care, long day care, preschool, kindergarten and early years learning centres are fundamentally the same. They are governed by the same framework and are required to apply the same teaching methods. I would keep in mind that these titles are inconsistently applied. Therefore, you and your child are likely to have very different experiences between two centres claiming to be preschools. When researching a Centre for your child, make sure to build a list of the services that are most important to you (for example, opening hours, meals, routine and extra-curricular activities). Then, take a tour of your short-listed services to ensure that they are the right fit. Family day care is a form of in-home care where the educator takes care of children from their own home. Family day care services are subject to the NQF and, as a result, will also have quality ratings. In practice, you can expect a different standard of education and care from these services. The groups are smaller (for example, an educator can only care for seven children in NSW) and educator educates and cares for the child in the home environment. Keep an eye out for the resources (such as books, toys and iPads), ratings and different environments for your child to learn and grow through here. Understand the educator's education and care philosophy and evaluate against your own. Remember that your child won't have access to different educators. Take time to understand the educator's experience and track record. Ask for referrals and follow up with them to understand what you can expect if you put your child in their care. A nanny usually cares for a child within the parent/ guardians own home. Nannies are not required to have a degree in children's education and the service that they provide is not typically subject to any government law. The Australian Government has put in place an incentive scheme (called the Nanny Pilot Programme) to assist parents in accessing nannies. For a family to receive a subsidy under the Nanny Pilot Programme, the Nanny must satisfy minimum requirements such as having a valid Working with Children Check and having a valid CPR certification. The Department of Education and Training, who administer the Nanny Pilot Scheme at the national level, provide a list of providers under the scheme who have been assessed based on capacity, experience and competency. "Nannies can be the best or only option for families who struggle to access child care services, particularly if they work non-standard hours or live in remote areas or away from existing child care." I would be remiss if I didn't note that we have had the great privilege to have worked with (and have eventually even hired) some fantastic nannies who are now educators at our Centres. Nevertheless, the absence of an overarching quality and learning framework means that you can expect the quality of care to vary quite substantially. Why do I prefer Centre-based care? Range to learn - children in Centre-based care have the capacity to exposed to a broad range of educational, social and emotional experiences. Also, more caring educators and different children provide more significant opportunity for connection, learning and growth. Good operators separate management from support services from educators/ carers - the last thing you want if for your educator to handle your billing, deal with all the paperwork, cook all the meals and then somehow then find time develop your child's interests. These roles are separated in Centre-based care, meaning educators can focus on the education and care of your child. Not all centres will be able to deliver on the above promise. There are some fantastic family day care operators and nannies who will be able to provide similar high-quality experiences for your child. So while I appreciate the capacity for centre-based care to offer more for the child, I would encourage that you take the time to weigh up the individual services in your area. Starting Blocks is an excellent resource put together by the Australian Government that explains developmental milestones in the early years, provides practical tips to encourage learning at home and openly discusses the benefits of child care. They have put together this guide to choosing the best service for your child.